Batteries For Power Tools, Smoke Detectors, Emergency Lighting & Power Back-ups Plus Great Prices on Alkaline and Rechargeable Batteries For Flashlights & Radios. Martinsburg — 304-267-7033 Mon.-Fri. 8 a.m.-6 p.m. Sat. 9 a.m.-3 p.m.
Pamper perennials. As annuals and perennials start to fall back, mark the spots where perennials are located so they can be easily identified later on. This way, when planning spots for spring bulbs or other spring layouts for next year, perennials won't be overlooked or covered over. Prune shrubs. Look at shrubs and trees and cut out dead or diseased wood. Clean up borders. Weed and tidy up borders and lawn edging. Install pavers or rock wall. Embrace the cooler temperatures to work on labor-intensive projects, such as putting in a garden bed, retaining wall or walkway. Remove spent summer veggies. Take out vegetable garden plants that have already bloomed and borne fruit. Tidy up vegetable gardens and start to sow cooler weather plants, such as onions, garlic, beans, and sweet peas. Your purchase of $999 or more. be growing much more this year. Clean and store equipment. Clean, sharpen and oil all equipment, storing lawn and garden tools properly so they are ready for spring and not lying out all winter. Design a more functional pantry Many homeowners wish they had more storage space, and kitchens are one area where people seemingly can always use more storage. Despite a desire for more kitchen space, until recently, kitchen pantries fell out of favor. Builders and architects may have thought that close proximity to supermarkets as well as multi-use cabinets in kitchens would offset the need for pantries. But according to a recent survey from the National Association of Home Builders, a kitchen pantry is the most desirable kitchen feature for buyers in the market for a new home. According to a 2016 survey from ReportLinker, 98 percent of Americans say cooking at home is their preferred way to prepare a meal. And despite the wide array of restaurants, prepared meals and fast food options nearby, more than one-third of people cook at home daily, with nearly 50 percent cooking between three and six days a week. In order to accommodate for spending more time in the kitchen, homeowners are directing additional attention to kitchen preparation and storage features. In fact, one recent trend in kitchen renovations is creating custom-designed pantries. Locate the appropriate space Ideally, pantries should be in or adjacent to the kitchen. But not every home layout allows for this setup. Some homeowners need to move storage pantries into the garage, the basement or a mud/laundry room. Various factors should be considered before placing a pantry outside a kitchen. What is the climate? Will food spoil? Is there a possibility that vermin or insects can infiltrate the room and access food? These factors will dictate whether to have closed cabinets, air-tight bins or open shelves or if other modifications must be made to the room prior to building. improve reach in cabinets. In smaller spaces, French door-style reach-in cabinets are convenient and flexible. In complete kitchen remodels or new constructions, walk-in pantries offer the most space and flexibility. Must-have features Pantries ser ve different functions in different homes. For the bulk shopper, a pantry with plenty of room for large items will be needed. Lighting can be beneficial in all pantries. Lights can improve visibility when trying to locate items. Others prefer an outlet for charging hand-held vacuums or other small appliances. Counter space in the pantry enables homeowners to unload groceries directly onto pantry shelves. For pantries located outside of the kitchen, built-in freezers can maximize storage possibilities, especially for those who freeze-and-eat after bulk shopping ventures. Pantries are popular features that homeowners can customize depending on their storage needs and the amount of time they spend in their kitchens. HAVE YOU BEEN TOLD TO REPLACE YOUR HEATING OR AIR CONDITIONING SYSTEM? HHHHH WE ARE 5 STAR RATED! Andrew Farrell, Your Hometown Winchester Specialist! tures and other functional components of the bath, linens are key. Soft-spun Egyptian or Turkish cotton towels and robes are a must-have luxury for the full spa experience. Comfortable seat: A bench or chair nestled by a bathroom window is the perfect spot for pedicures or catching up on some light reading. Natural light: Skylights or privacy-ensuring windows are a must to create a relaxing space close to nature. A spa bathroom at home is within reach. With a few touches, any bathroom can be transformed into a luxurious oasis. Designer, Brenda Miller, will bring Ethan Allen to your home. Brenda works from the Sterling, VA location, but she can bring the fabrics, finishes and ideas to you in Winchester and the surrounding areas! Brenda is also Hunter Douglas certified to assist with window coverings including Plantation Shutters! Brenda.M.Miller@ethanallen.com 703.433.9001, Ext. 25 Complimentary Design Service using our products available. DOING BUSINESS THE OLD FASHIONED WAY THE RIGHT WAY THE WAY YOUR GRANDFATHER TAUGHT YOU!!! Invest in classics Quast defines a classic as any piece that you love regardless of the style. “Right now there’s a lot of fine furniture that people are getting rid of because people don’t think it’s fashionable and that may be a mistake,” she advised. “For upholstery, buy the best that you can afford because quality will last.” But what if you want to try out a modern or more trendy look? No worries — Quast said that mixing different decor styles, like modern and traditional, can look great. Mistakes with trends ”I had a consultation where the lady had a very formal colonial two-story home and she was trying to turn it into a farmhouse and it wasn’t working,” said Quast. Other trend she has seen people cling to: the color gray. “I see a lot of people jump on the bandwagon of gray, it’s been around for seven or 10 years, which is usually the cycle, which means it’ll soon go away. Some grays are kind of deadly, they have no energy. Color is energy,” she said. Kitchens are starting to look the same — the all-white kitchen has been trendy for a few years. “They’re missing the opportunity to do something unique,” said Quast. Instead of going all-in with trends, Quast recommends putting your decor budget towards accent pieces, like pillows that can be easily switched out when a new trend comes along. Lighting “Lighting is always important. That’s something a lot of people don’t have enough of,” said Quast. She said general lighting is your base lighting for a room, which is achieved through recessed lights or ceiling fixtures. The second is task lighting, which helps with tasks like reading, cooking, sewing, etc. This type of lighting includes track lighting, under-cabinet lighting, and pendant lighting. Accent lighting highlights specific features of a room, like artwork. Off the wall Rethink that sofa and loveseat shoved up against the wall — it’s something Quast sees a lot of. “The western mentality of furniture marching along the walls... Instead of doing a grouping in the middle, instead of understanding the space, and that’s part of the whole design, which is the eastern philosophy,” she said. From top left: Don’t be afraid of color. Coral and blue brighten up this bedroom. A glass table with blue swivel chairs create a casually elegant eating area in this modern design project. Metallic stencils create a fun and unexpected accent wall. Photos courtesy of Barbara Quast Interior Design. turing women’s clothing, shoes, and accessories like jewelry and purses. 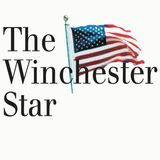 Hoberg and her husband moved to Winchester recently from Oregon, where she was a dental hygienist. She said there were many Real Deals franchises in Oregon and she missed the store when she moved here. The closest franchise to Winchester is 308 miles away in Granville, Ohio. “Coming to Winchester, I know there’s a Hobby Lobby and a Pier 1, but there’s nothing really, quite like Real Deals. There are some neat boutiques around here, but they seem to be higher-end, and this would be a boutique that is more affordable to people in this area,” she said. Also dif ferent about Real Deals is its location — the franchise does not seek to open in typical retail-heavy locations, like Pleasant Valley Avenue in Winchester. The store is located in a warehouse building off of U.S. 522. “Being out of the way, not in a typical retail location, it’s kind of a fun destination thing,” she said. “Companywide they do this — just for the destination feel. I proposed a few retail options to them and they said ‘no, it’s too retail.’” Hoberg said merchandise is sold at near-wholesale pricing, and stock changes weekly. The store is open only Thursdays Saturdays. Real Deals grand opening is Sept. 27 at 10 a.m. with specials Thursday, Friday, and Saturday for the first 50 customers. Discover Real Deals on Home Decor online at www.realdeals.net Real Deals on Home Decor will open Sept. 27 in Winchester. They will offer home decor, women’s apparel, jewelry, and more. Photos courtesy of Real Deals on Home Decor. NATURE NURTURES Tap into the power of nature. Explore experiences that balance and nurture your whole self. This is a family-friendly event open to children of all ages. sult with a lawn care professional to devise a plan that ensures their lawns and gardens hold up against winter weather. Mulch may be widely associated with spring lawn care, but applying mulch in the fall can benefit lawns and gardens as well. Upstairs NOW OPEN w/3,000 more sq. ft. Defining hardscape and how to use it can be functional or simply decorative features that add whimsy to the yard. Our Specialty: Beautiful Custom Kitchens We specialize in made-to-order kitchen designs with the features and style options that are just your taste! The right style allows hardscaping and softscaping materials to work together. For example, homeowners may want to give their yards an eastern feel, complete with a koi pond and decorative bridge or trellis. A formal English garden, however, may include manicured paths with stepping stones and ornate topiaries. Mixing too many styles together can take away from the overall appeal. The pros suggest looking at the overall plan of the design, even if all of the work can’t be completed at once. This way the eventual finished project wil be cohesive. Leesa made an overwhelming and intimidating process so much easier for us. She truly listens to her customers and incorporates their likes and wishes into her work. She is professional, responsive, talented and fun to work with. home or business to perfectly suit your needs? Come in & see our large in-stock closeout specials! Green options in home siding are key aspects of its "green factor." The following are some of the more sustainable options in home siding. Reclaimed timber A house sided with clapboard, or a log cabin-inspired look, is iconic. These types of siding are typically made from insect-repellant pine, cedar, cypress, or redwood. While lumber certified by the Forest Stewardship Council is environmentally friendly, homeowners may want to seek out reclaimed lumber. This wood has history and causes very little environmental impact. Plus, timber salvaged from old buildings or fallen trees may be superior to new wood because it likely came from slow-growing, old trees with dense grain. Avoid any negative environmental impact by choosing locally produced or reclaimed bricks - or those made from post-consumer content. The longevity of bricks can often offset the energy expenditure in their manufacture. Plus, many bricks are made from natural clay, which can be an excellent insulator. ated with cement production. Stucco can reduce air infiltration that causes drafts in a home. from Page 13 Think about the purpose Hardscaping can look good but also ser ve key purposes. Pebbles or gravel can mitigate trouble areas that don’t grow grass or plant life well. Retaining walls hold back soil in yards with sharply inclined hills. Mulch can set perimeters around trees and shrubs, as well as planting beds. Fencing, another form of hardscaping, is essential for establishing property boundaries and adding privacy. Consult a professional While many hardscaping additions can be handled by novices, large-scale projects, such as patios and decking, can change the grading of the yard. Professionals can map out how to handle drainage issues and meet building codes. In addition, professional installation can ensure hardscaping features last for years to come. Hardscaping should blend with the nature around it and take its cues from the surrounding environment. This can help softscaping and hardscaping work as one. Fiber-cement is similar to stucco in that it is made from sand, Portland cement, clay, and wood pulp fibers. It can be fire-resistant and insect-proof and will not rot. It's a stable material that can recover almost 80 percent of the initial cost, according to the National Association of Realtors. Stone This nonrenewable resource can be beautiful on a home and durable, but mining it can impact the environment. If homeowners can use reclaimed or displaced stone, those are more sustainable options. Manufactured stone, which is cement and other materials molded to look like stone, is also aesthetically appealing and more eco-friendly. Replacing siding is a significant undertaking. Homeowners can consider sustainability when selecting replacement siding materials. FREE ESTIMATE ON HVAC REPLACEMENT! whole-home humidifier! Get Your Home Ready for the Season! Save on Your Heating Maintenance, Humidifiers & Replacement HVAC!! 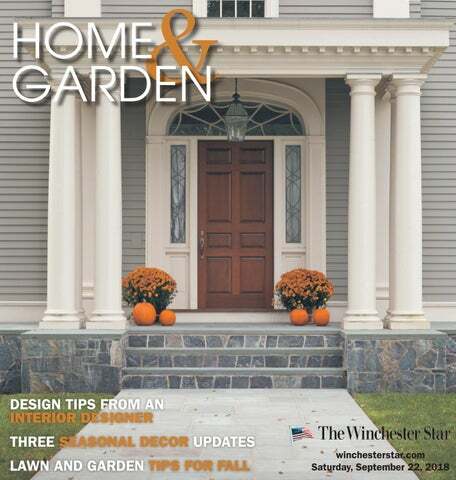 The Fall edition of The Winchester Star's Home & Garden Guide.